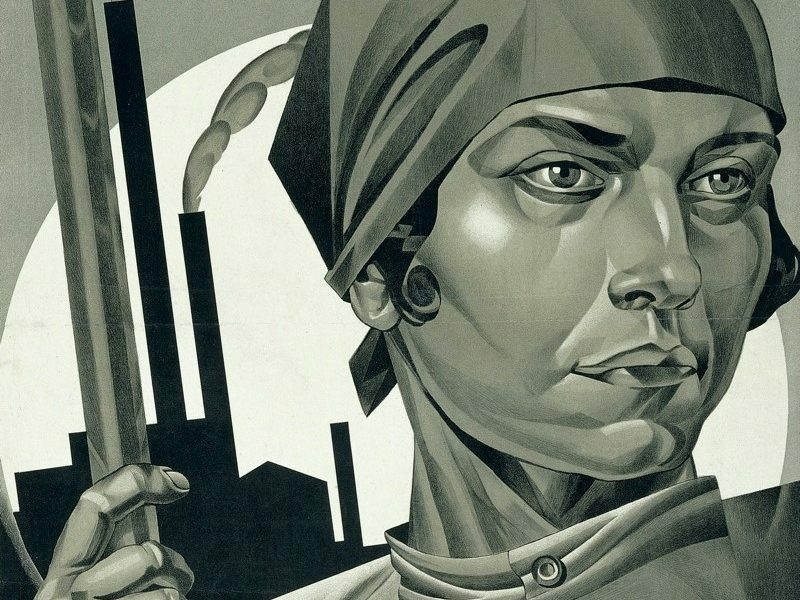 What effect did the Russian Revolution have on women’s lives? 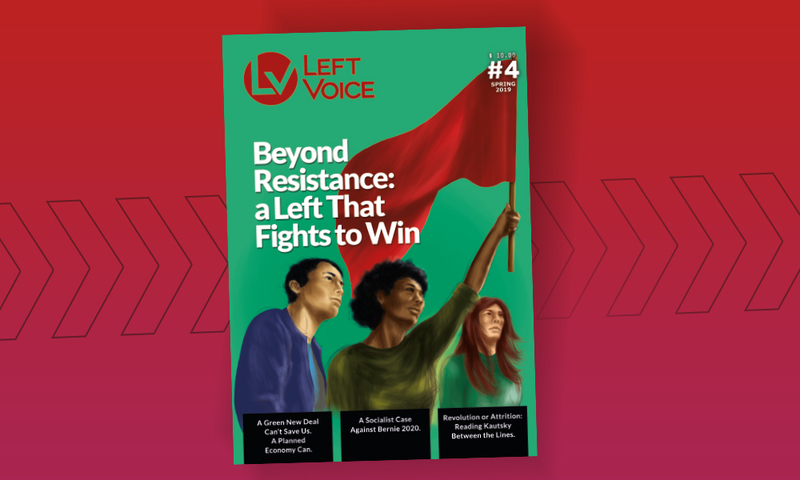 Our special print edition of Left Voice on the Russian Revolution is out. Buy it now here. The following preview article is being made available online. There is broad consensus on the unprecedented strides that the proletarian revolution of 1917 made in the lives of Russian women. The right to divorce, abortion, access to wage labor, and steps towards socialized domestic work are only some of the reforms instituted by the Bolsheviks. The reverberations from the vast changes in women’s rights in the Soviet Union were felt across the world. 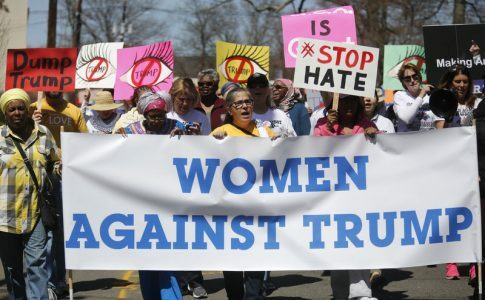 Suffragists, proponents for women’s education and even liberal feminists and other progressive sectors applauded legislation that enshrined women’s rights and other progressive public policies in law. In the eyes of the world, the most curious aspect of these progressive advances is that they occurred in Russia — a country deemed economically and culturally anachronistic. Women rebelled in the land of orthodox patriarchs and czars, of Cossacks intoxicated by barrels of vodka, of illiterate peasants, and of kulaks who enriched themselves by the force of the lash. To make matters more complex, Russia was battered by the devastation of World War I and surrounded by imperialist armies. Its population was decimated by droughts, diseases and plagues. In this terrain — predictably arid for the flourishing of cultural and political progress — legal equality between men and women was established. De facto unions were recognized; the right to divorce and abortion was established; nurseries, public laundromats and community kitchens were created; the criminalization of homosexuality and the persecution of women in prostitution were eliminated. These innovations, which revolutionized the everyday life of women, as well as Russian homes and families, did not fall from the sky. Nor did they spontaneously emerge from the energy of the socialist revolution. The party led by Lenin was a hotbed of debates about women’s emancipation: what would be the role of mothers once child rearing was socialized? Should a socialist state continue to issue marriage licenses if it wanted to remove the state from all romantic relationships? There was not a unified position within the Bolsheviks on these issues, but an open debate among various positions. The Bolsheviks drew inspiration from a long history of slave insurrections, going as far back as antiquity. They were the heirs to the ideas of utopian socialism and were influenced by Marx and Engels’s ruthless criticisms of bourgeois marriage and the family in their seminal text, The Communist Manifesto. This relationship between an ideology — inherited from utopian socialism and historical materialism — and the massive incorporation of women in the industrial concentrations of large European cities produced a profound political moment. The combination of this new female proletariat with a revolutionary leadership imbued with advanced ideas about emancipation was the bedrock of the audacious measures adopted by the Bolshevik Party, translated into legislation, government plans and social policies. Since the Middle Ages, people have reflected on how to love freely. There have been movements that rejected contractual systems, marriages arranged by third parties, or the interference of the Church and/or the State in romantic relationships. Since the 14th Century, collectives have put forth the idea of ‘free love,’ questioning not only marriage but also rules concerning adultery and the prohibition of contraception and abortion. That is why almost all the movements that supported free love have also questioned the subjugation of women to men. They have protested women’s lack of freedom and therefore have often supported the emancipation of women. Perhaps when we discuss the proletarian revolution in Russia, it is more accurate to refer to “free unions” rather than free love. A central concern of Bolshevik leaders and intellectuals was to emancipate romantic relationships from the yoke of the Orthodox Church. Prior to the revolution, children conceived outside of Orthodox marriages were not only denied property rights, but they were also shunned by society. The Bolsheviks fought this by recognizing all types of unions without the rules or approval of the church. 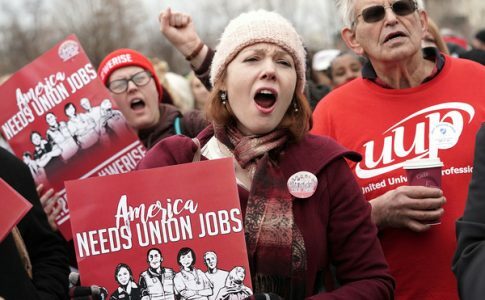 The new legislation that allowed divorce also opened the doors to free unions. However, in war-torn Russia, this also had negative effects on the lives of women who, for centuries, had depended on men financially. For many women, marriage was a form of survival in a patriarchal society. It was thus necessary to promote women’s emancipation by incorporating women into productive work and winning economic independence and equality before the law in order to then establish the legitimacy of free unions. Alexandra Kollontai, a Bolshevik leader, wrote about the need to build comradely love, contrasting this ideal with the jealous and possessive relationships that characterize the bourgeois ideal of “romantic love”. She argued that this type of relationship emerged with the rise of the bourgeoisie and embodied the concept of private property which was in turn projected onto personal relationships. This reinforcement of an ingrained sense of possessiveness and entitlement in romantic relationships then became the source of multiple forms of violence. After taking power, Kollontai and other Bolsheviks had the chance to put into practice the ideas they had discussed as a revolutionary creed. For a decade under the czarist regime, women had staged huge struggles in the nascent Russian working class. They not only fought for bread and butter demands, but also for childcare at factories, paid maternity leave, work breaks to breastfeed newborns etc. 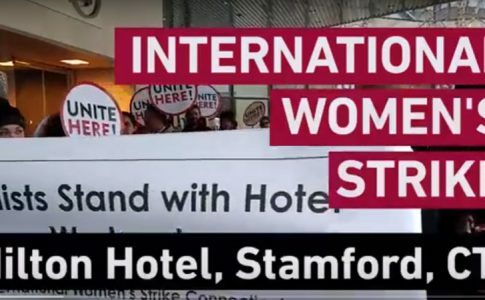 In the police reports and factory logs, there are many examples of women’s strikes that demand the right to use the same bathrooms as the owners of the company and an end to the abuse of foremen. On August 26 and 27, 1910, the Second International Conference of Socialist Women was held in Copenhagen where the main debates included women’s suffrage and improved conditions for mothers, including maternity leave and protections from firings based on pregnancy. The delegates Clara Zetkin and Kate Duncker of the German Social Democratic Party proposed the creation of International Women’s Day which was celebrated in Russia for the first time in 1913. While the Mensheviks argued that only women should participate in Women’s Day protests, the Bolsheviks argued that the day should be recognized by the entire working class because women’s emancipation should be taken up by all exploited people. World War I placed an additional burden on women. When almost 10 million men, mostly peasants, were mobilized and sent to the war front, women took up agricultural work and made up 72 percent of rural laborers. The same thing happened in the cities; between 1914 and 1917, the female workforce in the factories increased by almost 50 percent. This meant that more and more women took up the “double shift” — undertaking both domestic work in the home and wage labor. On the basis of these conditions, the Bolsheviks developed a bold policy for the recruitment of women workers. At the same time, the party educated the workers on the need to take up the struggle for the emancipation of women. Such huge transformations in women’s rights were only possible through the seizure of power because the revolution itself was sparked by women. However, they were also an effect of the Bolshevik imagination which was stronger and more transgressive than the adversities that loomed over the nascent workers’ state: hunger, war and isolation. In 1918, less than a year after the Revolution, the Family Code — which Wendy Goldman calls the “most progressive family legislation ever seen in the world” — was passed. It took the church out of the business of marriage, making it a civil matter. It allowed divorce to be not only legalized but streamlined and made accessible to anyone without need to provide a reason to the state. The law stopped centuries-old regulations that privileged the private property of men. It gave equal rights to all children — including children born outside of a registered marriage. If a woman did not know who the father of her child was, all of her sexual partners would share child support responsibilities. Importantly, it made women legally equal to men, through an amendment that has not even been passed in the United States. Alexander Goikhbarg, who wrote the Family Code, saw this law as a transitory measure that was not meant to strengthen the state nor the family. Instead, this law was meant to take steps towards the extinction of the family. But as Lenin argued, equality in law was only the beginning, a minimal step that the revolution could take for women’s rights. He says, “Where there are no landlords, capitalists and merchants, where the government of the toilers is building a new life without these exploiters, there equality between women and men exists in law. But that is not enough. It is a far cry from equality in law to equality in life. We want women workers to achieve equality with men workers not only in law, but in life as well.”(3) The revolution had to take steps in order to advance towards true equality. Legal changes could only be effective if they were accompanied by large, state-led efforts to end “domestic slavery” — the second, unpaid shift that overburdened women. Through the workers’ state, the Bolsheviks wanted to convert household chores into salaried, industrialized work to be carried out by both men and women. Long before the “Wages for Housework” campaign, the Bolsheviks saw the necessity, not only of turning wage labor into a paid job, but also, of collectivizing this labor as essential to women’s liberation. This built the scaffolding for new kinds of relationships free from the economic coercion of traditional patriarchal relations. As the Minister of Public Assistance, Alexandra Kollontai became one of the architects of many of the reforms regarding women and the family. Among the most important measures advocated by the new minister of the workers state was the ability of Soviet women to freely choose their profession, gain access to all state jobs, and receive equal pay for equal work. Moreover, it became illegal to fire pregnant women. Women were also granted the right to divorce and the right to enroll in co-educational schools. Yet these progressive changes, unseen anywhere else in the world, were insufficient to guarantee true equality for women. Prior to the change in the Civil Code, there were long, deep, and interesting debates within the Bolshevik party and in broader society about women’s liberation, the role of the family in socialism, and how to transition towards a society in which women are equal to men. Aware of the historical inequalities between men and women, the Bolsheviks also sought to protect women from unintended consequences of these new laws that introduced greater freedoms in relation to the traditional family. The new way of thinking exhibited by the Family Code demonstrates that for the Bolsheviks, the revolution itself was just one act; it was the beginning of a process of deep changes in values that had been reproduced for millennia. As Leon Trotsky points out in his Theory of Permanent Revolution, one of the essential aspects of a socialist revolution is precisely this metamorphosis of society through a constant internal struggle that engulfs and transforms all social relations. 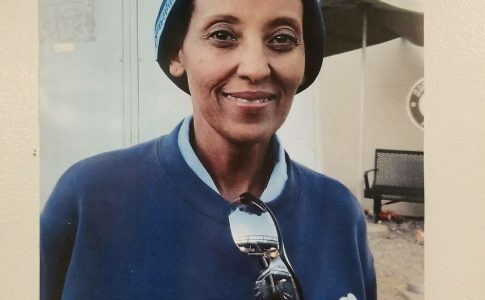 The emancipation of women from the yoke that had kept them subordinate and oppressed for centuries was one of the fundamental aspects of the social relationships that needed to be radically changed. Far from a class reductionist perspective, the Bolsheviks saw women’s emancipation as a central task for the proletarian revolution. Lenin said, “The proletariat cannot achieve complete freedom, unless it achieves complete freedom for women.”(5) The Bolsheviks saw the woman’s role in a society as a measure of that society as a whole; it wouldn’t be until women had achieved full equality that they could consider the socialist revolution a genuine success. As explained in the article The Thermidor in Moscow, after the revolution and the civil war, the USSR was internationally isolated and the population of the young workers state was left decimated and hungry. This isolation allowed for the rise of a political caste within the Bolshevik party, as well as within the Soviet state, which administered scarcity. In the realm of women’s rights, as in other realms, this meant a counterrevolution in the measures taken by the Bolsheviks. This transformation in politics was not imposed easily or without resistance. The Bolshevik Revolution was drowned out by Stalinism and the 1917 generation was annihilated. 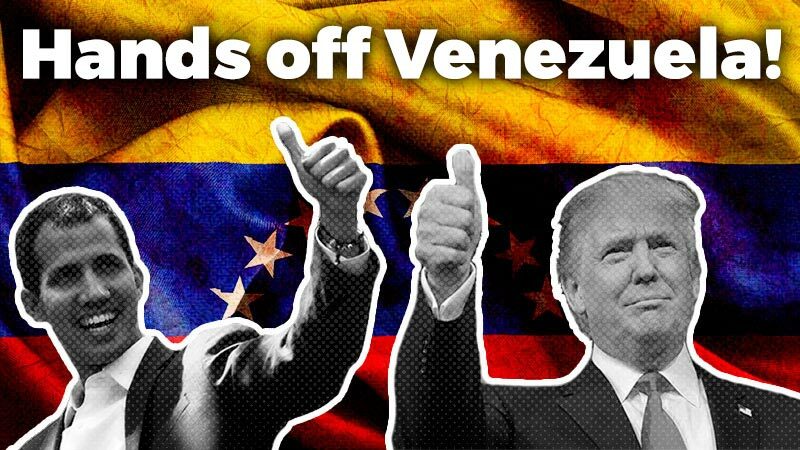 Those who did not die in the imperialist war or the civil war died from hunger and disease. Others were deported and incarcerated in forced work camps, and still others were shot. Stalin managed to seize the leadership of the Bolshevik Party and the state with the support of new generations of careerists who entered the party after the revolution, and brought with them the most traditional and backwards ideas. Under Stalin’s leadership, patriarchal interests and petty bourgeois morality was reproduced within the party. Paradoxically, in the name of socialism, the socialization of services that replaced domestic work was limited. Only married couples were formally recognized by the state, and the women’s section of the Central Committee of the Bolshevik Party was disbanded. Prostitution was criminalized, and LGBT people were persecuted and imprisoned. Abortion was prohibited, and all of the discussions about women’s liberation that the Bolsheviks had debated so ardently in the first years after the revolution were entirely discredited. The Stalinist counter-revolution meant a return to propping up the bourgeois family and old concepts of maternity. Under Stalinism, the State inculcated the idea that women should only be realized as such in motherhood or as wives and housewives. By 1944, Stalin had imposed designations of women based on how many children they had. The “Order of Maternal Glory” created categorizations for women and provided women with 10 or more children with the designation of “Mother Heroine.” The traditional family, which fascist leaders in Germany and Italy considered the fundamental basis for social discipline, also played this role in the Stalinist Soviet Union. All of the liberatory ideas of free love and the end of the family that had reached their zenith in the first years of the revolution were later labeled immoral, anarchist, and petty bourgeois propaganda. As Wendy Goldman repeatedly argues in Women, State and Revolution, one of the most tragic of all the crimes committed by Stalinism was convincing the world that Stalinist bureaucracy was “real socialism.” However, not even half a century of Stalin’s existence at the forefront of the workers state could erase the heroic role that women played in the Russian Revolution and the great victory that the socialist revolution meant for them as the “proletariat of the proletariat”. 1	Bárbara Funes, “Rojas,” in Luchadoras. Historias de Mujeres Que Hicieron Historia, comp. Andrea D’Atri (Buenos Aires: IPS Editions, 2006). 2	Leon Trotsky, “Five Days,” in History of the Russian Revolution, vol. 1, trans. Max Eastman (1932), https://www.marxists.org/archive/trotsky/1930/hrr/ch07.htm. 3	V.I. Lenin, “To the Working Women,” in Lenin: Collected Works, 4th English Ed., vol. 30, trans. George Hanna (Moscow: Progress Publishers, 1965), 371-372, previously published in Pravda (February 22, 1920), https://www.marxists.org/archive/lenin/works/1920/feb/21.htm. 4	Wendy Z. Goldman, Women, the State and Revolution: Soviet Family Policy and Social Life, 1917-1936 (Boston: Cambridge University Press, 1993). 6	Translation: “Those who struggle with more energy and persistence for the new are those who have suffered most with the old.” Leon Trotsky, Letter addressed to a meeting of working women in Moscow, Pravda, November 28, 1923. 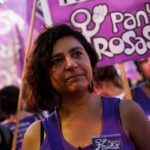 Andy is a leader of the Socialist Workers' Party (PTS) and the founder of the women's group Pan y Rosas (Bread and Roses) in Argentina. She is author of the book "Pan y Rosas" which has been published in Argentina, Venezuela, Brazil, Mexico, Spain, Italy, France and Germany.